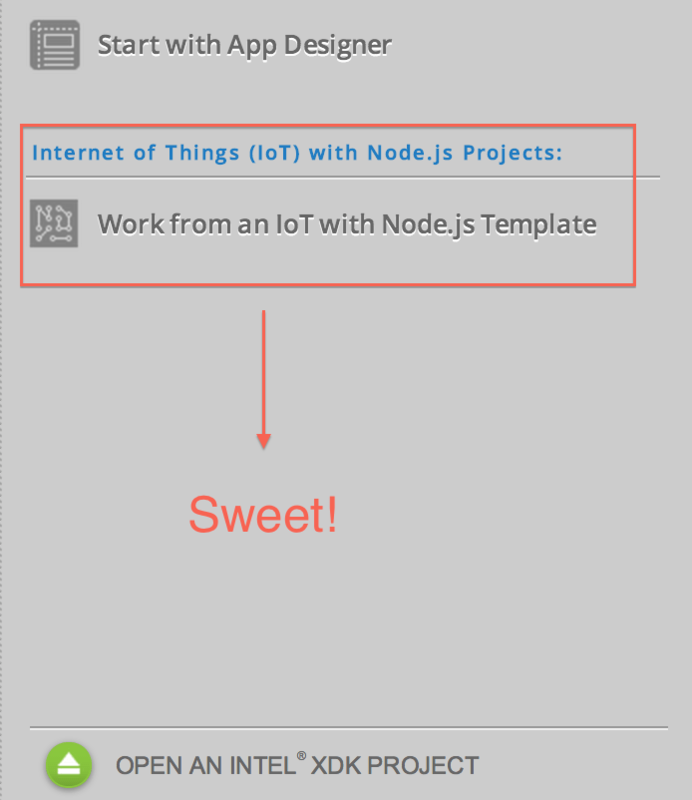 I have produced a set of 6 Node.js sample applications for Intel Edison / Galileo and Intel XDK. Grab them off of git, import into Intel XDK (assuming you have the latest, IOT enabled XDK version) and replace the XXXXX with your API keys. 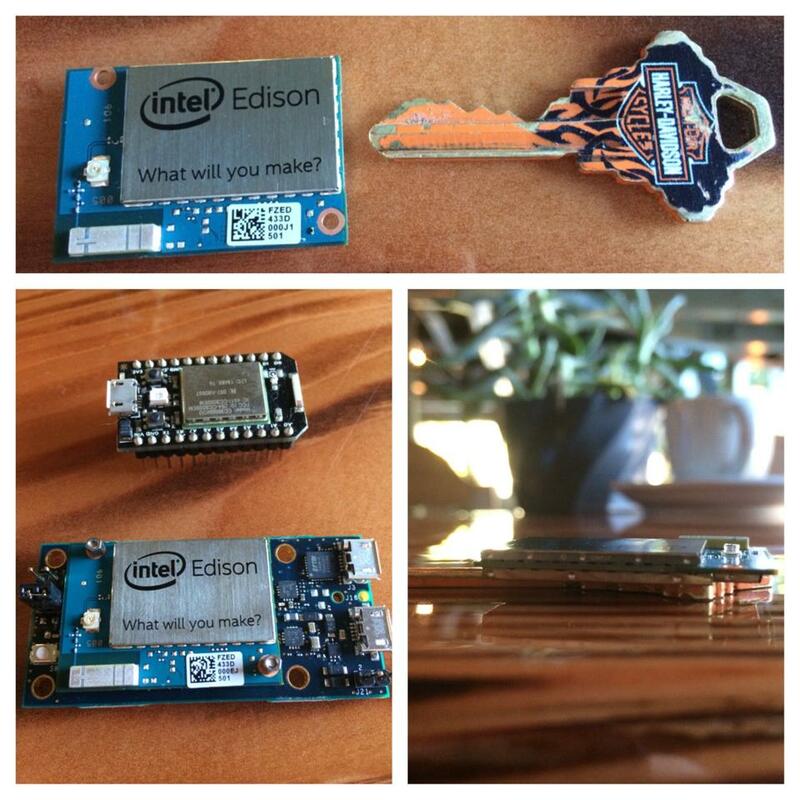 Intel Edison is a tiny computer for building compelling #inteliot hardware hacks. This is a quick intro on how to pair Edison with Intel XDK over a local network. This will not work on many public networks (where Wi-Fi “Isolation Mode” is enabled). If isolation mode is turned on, you will not be able to use Bonjour Browser to detect the Edison once it is on the local network and you will not be able to pair it with XDK or SSH into it! Download Intel XDK IoT Edition. Once you install, register for an account and sign into XDK, you should see the following option available under the “New Projects” templates. Click the template to get started with a new Intel XDK project for IoT applications with Intel Edison. The instructions for getting Intel Edison on Wi-Fi are here. If you are on OSX, skip to these directions. Assuming you have gotten Edison online we can now proceed to deploy code to XDK. If you haven’t done so already, download the Bojour Browser, a utility for detecting other devices on your local network. Troubleshooting: If you are getting errors, check this guide.